Untether For iOS 9.1 - 9.3.4 Home Depot Jailbreak Released! - How To Download ? Another good news – An untether for iOS 9.3.4 jailbreak has been released! Now you can enjoy full untethered jailbreak on your 32-bit iPhone, iPad & iPod running iOS 9.1 – 9.3.4. Here’s how to download & install untether with Cydia for Home Depot jailbreak to your device. 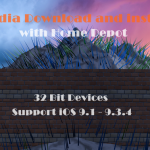 The iOS hacker – tihmstar, who developed Phoenix jailbreak for iOS 9.3.5 has just released an untether package for Home Depot jailbreak for 32-bit devices on iOS 9.1- 9.3.4. BetterHomeDepot is an untether package that available to download & install using Cydia for iOS 9.1 – 9.3.4 jailbroken devices. This works on Home Depot jailbreak (semi-untethered) to convert full-untethered, then you will no longer need to run the jailbreak app after each reboot. It works on 32-bit devices that are already jailbroken with Home Depot on iOS 9.1 – 9.3.4 firmware. Please note: This untether has currently successfully tested & supported iPhone4,1 on iOS 9.3.4 and iPad3,3 on iOS 9.3.2 only. Recommend you to wait until officially adds more offsets that bring support for more devices. How to download & install BetterHomeDepot to achieve untethered iOS 9.3.4 jailbreak ? 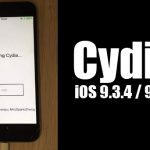 How to download Cydia for iOS 9.1-9.3.4 with Home Depot jailbreak ? That’s it, now you successfully have added untether for Home depot jailbreak. Furthermore, you no deed to worry about rebooting your device because you will no longer need to run the jailbreak again & again app after each reboot. Now you have full untethered jailbreak on iOS 9.1 – 9.3.4 running iPhone, iPad & iPod. If you get a bootloop after attempting to install BetterHomeDepot untether, reboot at least 10 times for the bootloop protection to trigger. 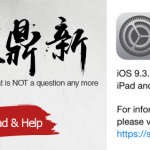 Phoenix jailbreak for iOS 9.3.5 released ! ‹ Cydia Eraser Gets Update For iOS 10 Jailbreak – How To Download & Use ?